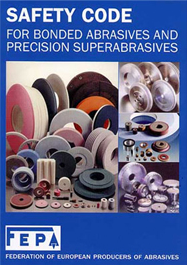 The improper use, handling and storage of Abrasive products can lead to serious and sometimes fatal accidents. This has been recognised in the UK and is now covered by legislation. 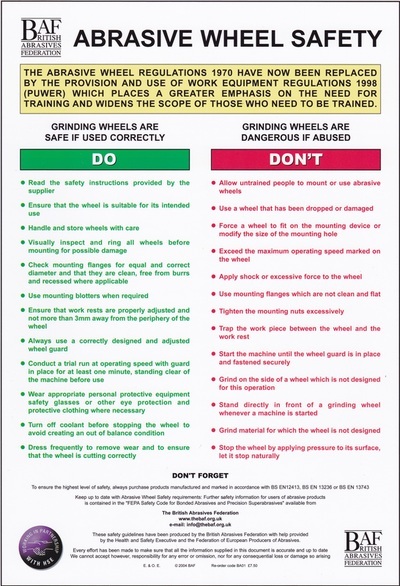 This legislation makes it a legal requirement that operators, and those involved in the use of Abrasive Wheels are properly trained. ✓ A comprehensive set of BAF approved course notes for each trainee. ✓ A test at the end of the course to ensure the participant has understood the content. What will your employees receive? Why ABTAC? ​Attendees will receive an engaging training course from a passionate trainer, where all of the relevant knowledge will be imparted. ​As all of our trainer led abrasive safety training courses are accredited by the British Abrasive Federation (BAF), all successful candidates will receive a BAF accredited certificate and their details placed on the BAF national register (after the completion of a validation consisting of a theory test and a practical observation). 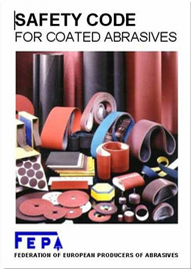 What type of abrasive safety training courses are available? Private courses can take place at your site or another site of your choice, thus reducing your employees travel time. For a quote and more information please complete the form on this page. If you have a small number of employees that you would like training, we regularly hold open courses which they can attend. New dates to be announced. 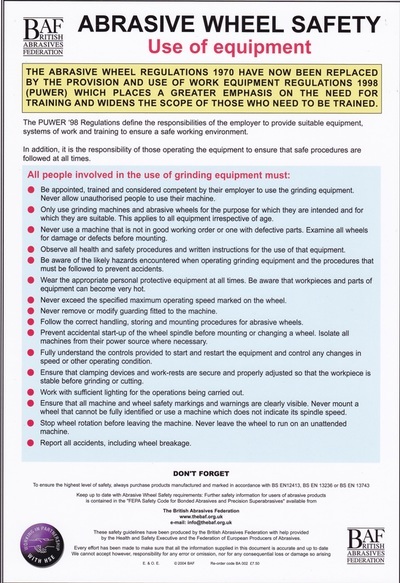 a refresher to those who have previously received a trainer led abrasive course. For more information. Are you a training provider who wants to provide manual handling awareness training? Why not take advantage of our knowledge and let us provide training under your branding. When open courses are available attendance costs £56 per person. Costs for private courses vary dependent on: number of overall attendees, number of attendees you wish to have on each course. Generally the more attendees per course, the lower the cost per attendee. For more information or an individual course please complete the form on this page or email info@abtac.co.uk. We welcome attendees of all abilities and backgrounds, however currently all of our courses are only conducted in English. Interested? Would like more information? We'd like to know your name so we can personalise our response to you. We need your email address so that we can get in touch, and provide you with the information that you requested. So that we can provide you with the most accurate information, we'd like to know what type of course your interested in. For more information about the types of manual handling awareness training courses we offer, please read the "What type of Manual handling awareness courses are available?" on this page. Letting us know how many employees you would like training in total, will allow us to make our quote as accurate as possible. Please let us know the location of where you want the training to take place, this will enable us to make the information we provide to you as accurate as possible. Are there any questions you have? Or anymore information that you can give us which will make the quote we give you as accurate as possible? 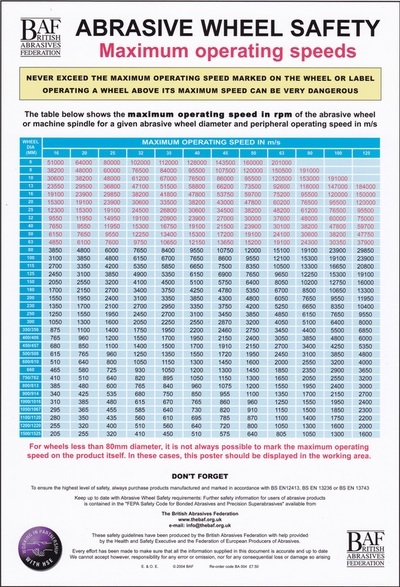 Do you have the BAF abrasive safety posters? 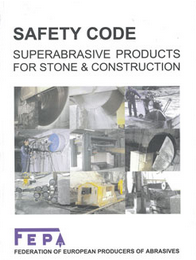 Or the relevant FEPA abrasive safety codes?